of the pioneers, a young Nebraskan whose yearnings impel him toward a frontier bloodier and more distant than the one that vanished before his birth. In doing so, she creates a canny and extraordinarily vital portrait of an American psyche at once skeptical and romantic, restless and heroic. wrote poetry, short stories, essays, and novels, winning awards including the Pulitzer Prize for her novel, One of Ours, about a Nebraska farm boy during World War I. She also wrote The Professor's House, My Antonia, Death Comes for the Archbishop, and Lucy Gayheart. Some of Cather's novels were made into movies, the most well-known being A Lost Lady, starring Barbara Stanwyck. 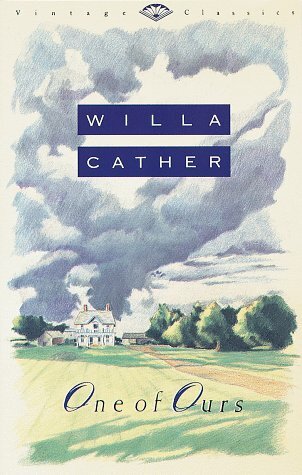 In 1961, Willa Cather was the first woman ever voted into the Nebraska Hall of Fame. She was also inducted into the Hall of Great Westerners in Oklahoma in 1974, and the National Women's Hall of Fame in Seneca, New York in 1988. Cather died on April 24, 1947, of a cerebral hemorrhage, in her Madison Avenue, New York home, where she had lived for many years.